but can do any anniversary. I have done Naming Ceremonies both on the beach and at home. I have also done funerals. I am a qualified counsellor, and have studied and continue to study philosophy. I volunteer in the local community doing Sailability which is sailing for the disabled and infirm. I have a child. I also am a member of the Bribie Island Yacht Club. I love doing Wedding’s and any other celebration that requires a celebrant. I am very professional yet fun. I have done weddings in the week and from the Gold Coast to the Sunshine Coast. I live at Beachmere and can come to you or you can see me at my home office. ​"Teresa has been a dream to work with. She has been so friendly and accommodating from the first time we met her. 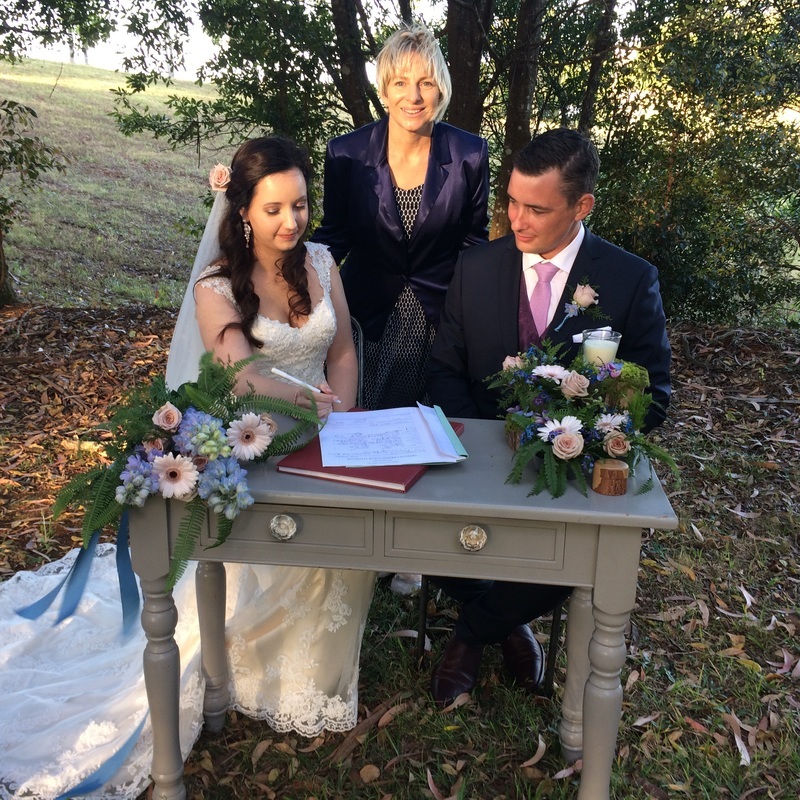 It was very important to us to have a personal and intermit ceremony and Teresa guided us through the process and went above and beyond to make it happen. She got to know both of us, who we are and our characters and incorporated that into our ceremony. We couldn’t have been happier." “Love is a many splendid thing"